Virgin Atlantic will add new daily flights between London Heathrow and Tel Aviv on 25 September 2019. 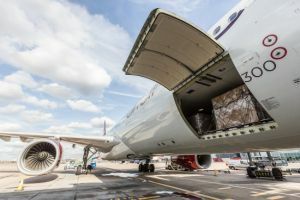 The Airbus A330-300 will offer 20 tonnes of capacity on each flight to Israel the airfreight market rose by 17% in 2018. There was particularly strong growth in shipments of pharmaceuticals, perishables and high-tech cargo.